The true genius behind Heesen’s 5000 Aluminium class is not purely in its continued success built on spec, but on its flexibility as a platform. 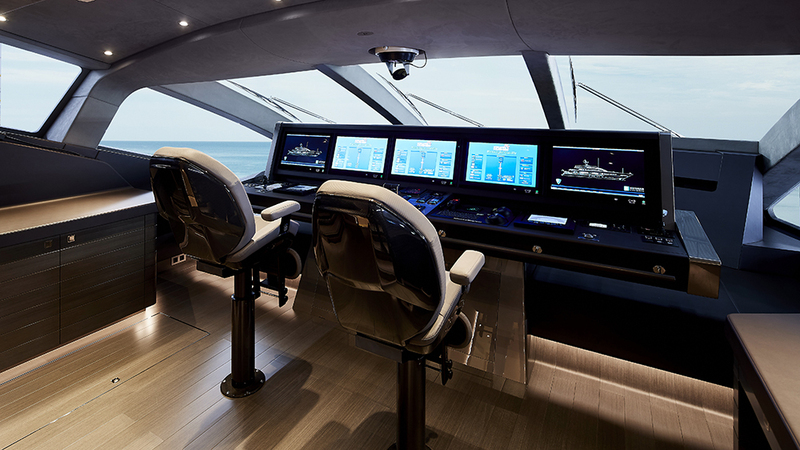 Semi-displacement fully custom 50-metres Irisha is a fast and furious yacht with a top speed of 26 knots. 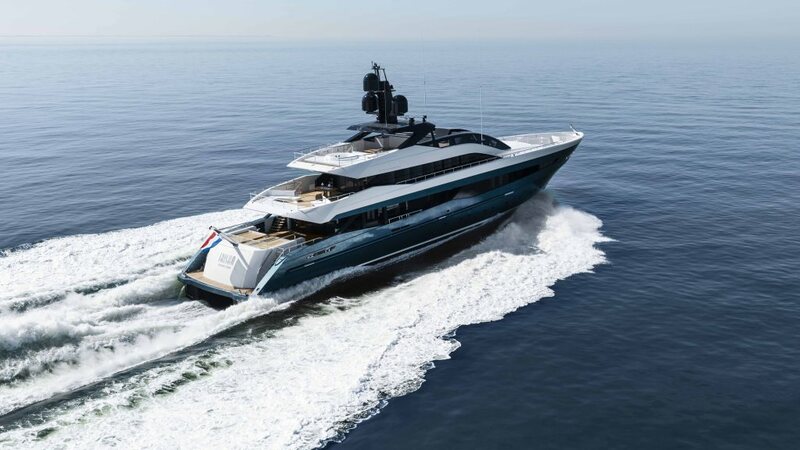 Its radical profile, driven by the owner’s desire for something “fairly aggressive and dynamic” gives the yacht a distinctive edge on the water, and yet it, too, is founded on the award-winning Satori hull. 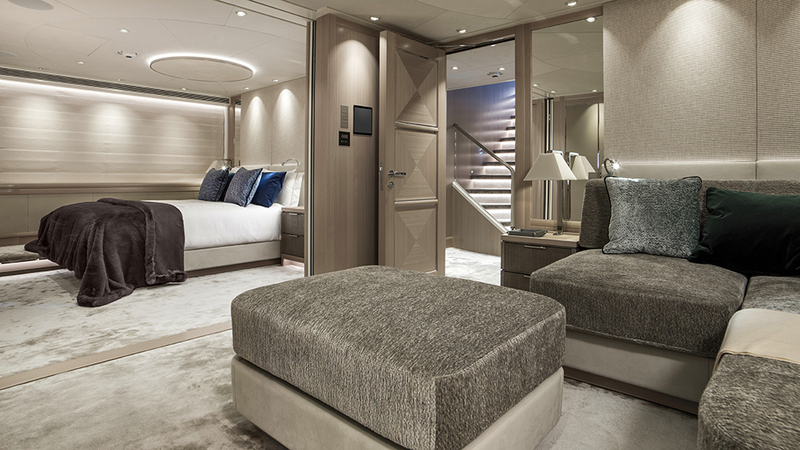 Exterior and interior designed by London-based yacht designers and architects Harrison Eidsgaard, Irisha has been masterfully adapted to suit the owner’s desire for a day boat, and, in addition to a rapid top speed, Irisha is defined by a sporty raised wheelhouse—undoubtedly the most impressive design feature of the entire yacht. Completely enclosed in 3-D curved glass, which also forms the bulwarks on the side, it is “reminiscent of the cockpit on an F-16 fighter jet,” says designer Ben Harrison. 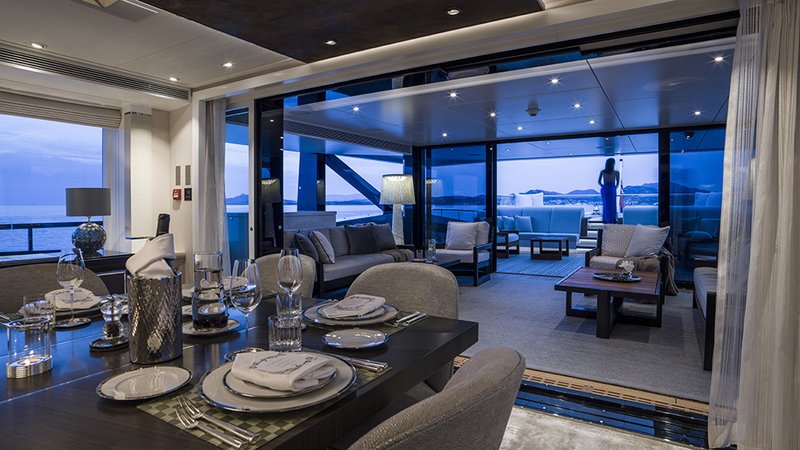 Encompassing a split-level design with three steps up to the 13-metre long sundeck, the curved glass sheets (among the largest produced in Europe) seamlessly connect the wheelhouse and sundeck with a fluidity of movement that is emphasised by two L-shaped sailing-yacht-style hatches. 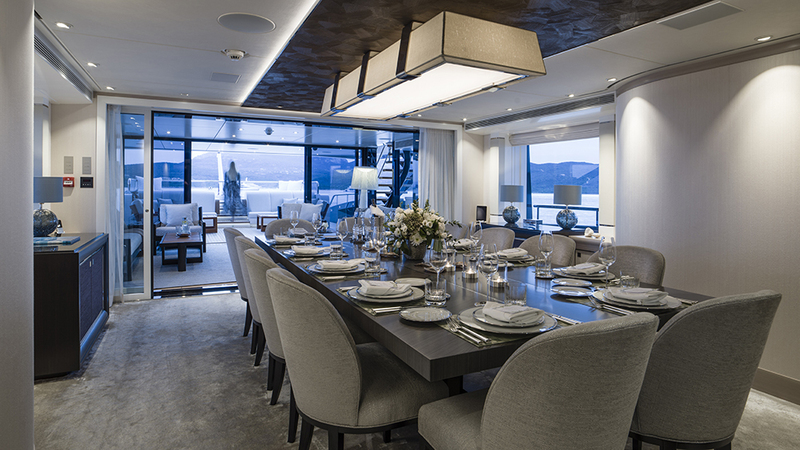 While Irisha’s metallic two-tone Pacific-blue hull singles the yacht out from afar, a chic understated interior features varying shades of light and dark gray (the owner’s favorite colour) with beige and blue accent colours. Rich textures are featured sparingly throughout, such as stainless-steel finishes, onyx walls, and a hand-felted silk bedhead by Dutch artist Claudy Jongstra in the owner’s suite. Italian-inspired plaster work by DKT Artworks winds up the highly complex atrium staircase with toughened glass balustrading and a floating handrail. In place of a traditional formal saloon is a stunning main-deck winter garden with sliding glass doors that provide a year-round indoor/outdoor casual living area, which is complemented by Irisha’s architecturally designed lighting. “The lines, design language, and aesthetics are all linked by our desire to make sure everything flows, looks directional, and is dynamic,” says Peder Eidsgaard. 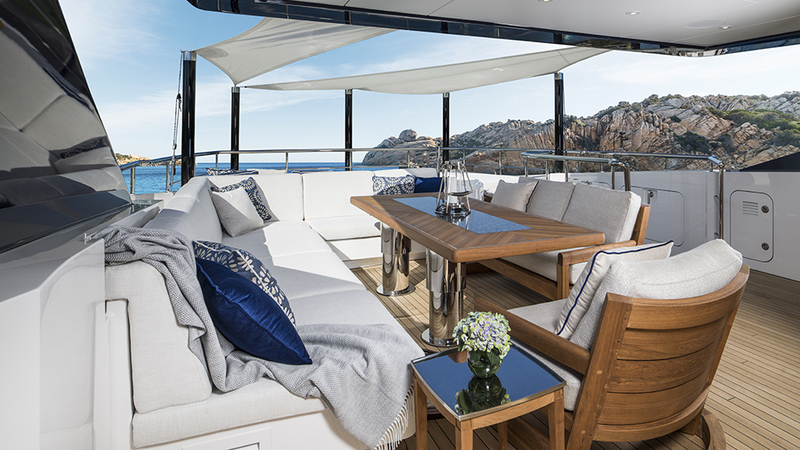 Available to charter through SuperYachtsMonaco in the West Mediterranean throughout 2018/19, Irisha’s spectacular winter garden makes it the ideal vessel for an extended summer cruise.